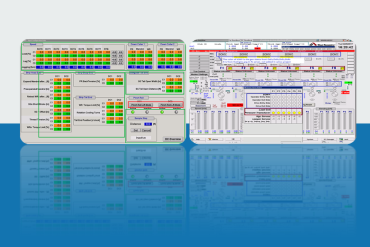 The main target of this project was to modernize and improve existing HMI software. First step was to analyse the original software written for the FactoryLink platform and to prepare a new solution for WinCC platform with more modern and better arranged design including new functions. Second step was to design and program parts of HMI (Human Machine Interface) according to the result of the study of original software from the customer. Screens showinng positions of rolled coils and positions of material head and end. Screens of cooling system preparing cooling water for all parts of rolling mill. Screens showing the status of the down coiler. Screens showing the status of exit section for transporting the coils from the rolling process. The exchange of old hardware for HMI to new one with WinCC platform and the commissioning and optimalization of the new software. The technical support by means of the remote desktop and service portal during the sharp production. The remote control technical support allows fast reaction in case of production troubles and rapidly decrease eventual financial losses.